You’ll learn everything you need to know in this SE F@E mountain bike review. Mountain biking can be a fun and thrilling sport to get into. You get out into nature, get dirty, and see the awesome things that the wide-open spaces of the world have to offer. However, the wrong ride can make your mountain biking dreams come crashing down. Believe it or not, it’s completely possible to find the perfect bike for your budget. Let’s dive deep into the pros and cons of this bike and my full SE F@E bike review to decide if it truly is the best bike for your buck. If you’re in a hurry and just want to see the best price for the SE F@E we got you covered! Click here to see the best price for the SE F@E Bike. 1.1.1 Why Ride a Fat Tire Bicycle? 1.1.2 Who Should Buy a Fatty? 1.1.3 Who Should Not Buy a Fatty? 1.2 What Is the SE F@E Bike? 1.4 What Is It Used For? 1.10 Review Conclusion – Best Fat Tire Bike? Purchasing a mountain bike is no small decision. That’s why I’ve put together a comprehensive look at the highly-praised SE F@E (pronounced “fatty”) bike that so many people seem to love. Is it really the best fat tire bike you can get for under $1,000? Let’s tackle all the angles and let you decide for yourself. Before you invest in a fatty bike of any kind, it’s important to think about who these bikes are for and what they can do for you. Why Ride a Fat Tire Bicycle? Fat tire bikes are loved for their ability to take riders down the paths less traveled. Snow, sand, and rocks rarely stop one of these bad boys. These bikes are all but guaranteed to give you the workout of your life. You may get fitter faster, but it could be hard work. Who Should Buy a Fatty? Big wheeled mountain bikes are made for the outdoors enthusiast who wants to take his or her journey to new heights. When worn-out trails and roads simply aren’t cutting it, you can push yourself and go further with one of these bikes. However, fat tire bikes aren’t necessarily recommended for someone who is inexperienced in mountain biking and looking to stay on easier pathways. Who Should Not Buy a Fatty? Think about how you will use your new mountain bike. Will you take it out in the snow, over gravel, and through the mud? Or will you prefer a quick ride with your pal up a well-worn trail? There’s no wrong answer, and it’s important to be honest with yourself. If you’re not in shape for tougher rides yet or not quite sure that those adventures are right for you, it may be best to stick with skinnier bikes for now. What Is the SE F@E Bike? SE is one of the last bike companies people expected to see a fatty from. After all, they are well known for their smaller racing and trick bikes. However, SE busted onto the fat tire bike scene with the F@E and F@R (pronounced “fatter,” get it?) just a few years ago. Since then, these bikes have become a favorite in the community. The SE F@E bike promises to take you across any terrain. The light and dependable frame, wide tires, and hydraulic brakes are specially designed to give you the traction and control you need in all sorts of conditions. Better yet, SE has only improved on the original design over the years. The SE F@R has bigger wheels and a Shimano Deore 2×10 drivetrain. This brand continues to make incredible bikes that can take you nearly anywhere. With the SE F@E mountain bike you’ll be able to tackle some of the gnarliest terrain. Fat tire bikes like the SE F@E are made to take you across snow, sand, mud, rocks, and anything else that stands in your way. Plus, if you want an easier ride on a more typical trail, this bike will make your ride smoother and a lot more fun. This is the perfect bike for the rider who wants to overcome any obstacles. If you’re willing to try new terrains and get a little messy, this could be the bike for you. It’s also a great bike for any outdoors enthusiast on a budget, as you can get it for less than a grand. However, if you’re simply trying to see if mountain biking on pre-made trails is your jam, you might want to stick a thinner, cheaper bike until you know for sure. Be sure to evaluate the pros and cons because even the money spent on an affordable bike isn’t chump change. Don’t be fooled by the low price of this bike. The SE F@E is loaded with features that will make mountain biking a thrill. The frame of this bike is surprisingly light. It looks like a beast, and it is in many ways. However, it isn’t cumbersome to carry or ride. 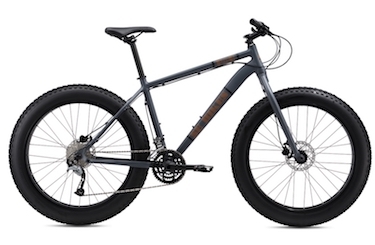 The SE F@E clocks in at just under 36 pounds, which is remarkable for a fat tire bike. This lighter weight allows you to go faster and further on your journey. On the rear of this bike, you will find 190mm symmetrical spacing. This design feature allows you to swap out factory tires with even the biggest fat tires on the market today. Bigger tires mean more places you can go. Even though you can replace those factory tires, you may not want to. These 26×4 monsters will make you feel like you’re floating while you trek through snow, sand, and the toughest trails. While you might want to upgrade for the absolute toughest trips, the standard tires will be great for most adventures. Hydration is critical when you’re riding anywhere. That’s why this bike is fitted with dual water bottle mounts, so you can carry the water you need to stay hydrated and keep going. With 27 gears, the SE F@E has the setting for any terrain or obstacle. However, the number of gears hardly matters if it is a pain to switch between them. That’s why this bike comes with Shimano shifters that make switching gears a smooth process. When you’re biking over slippery ground, brakes are everything. The SE F@E comes with Tektro Auriga hydraulic brakes that give you unprecedented stopping power and control. This feature is especially great for beginners who crave a little more confidence. Every piece of the SE F@E bike is built to last. It can take a beating time and time again and still come back for more. From the alloy frame to the thru-axle, it is made to be taken anywhere and everywhere. You can feel confident that your bike won’t up and quit on you. 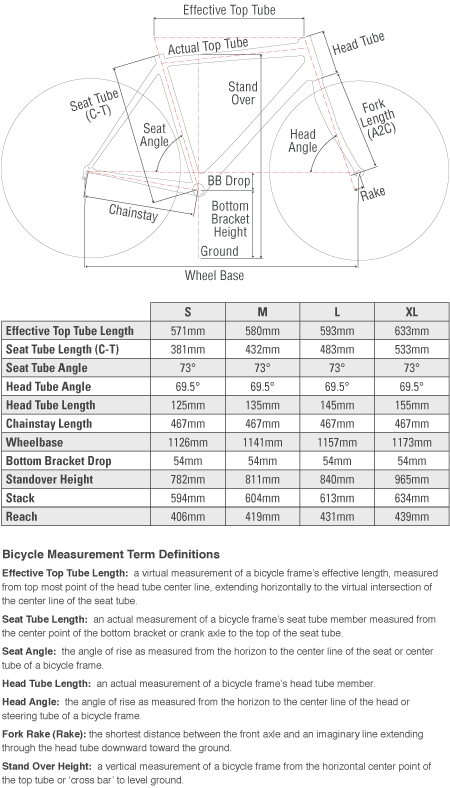 For a full understanding of the size of this bike, please reference the chart below. Of all the incredible features this bike offers, one of the best has to be its price. Even without a sale, you can currently purchase this bike for $749. This is basically unheard of for a fat tire bike. Most bikes of this quality can run over several thousand dollars. Perhaps that’s why the SE F@E is often considered the best reasonably priced fatty on the market. It’s a great ride for anyone who is new to the fat tire scene. The great way to find out if the SE F@E is really the best fat tire bike for your money is to ask people who have owned it. After testing it in a variety of climates, current F@E riders can tell us exactly what to expect from this bike. So, I combed through various sites and found many promising reviews. These reviews are hard to beat. From easy assembly to a fun ride, it sure seems like people are happy with the SE F@E.
Although the F@E is certainly a great bike for the money, it is not the only reasonably priced fatty out there. Before making your final decision, it’s important to look over alternatives and make sure there isn’t something better out there for you. SE F@R 26: The SE F@R is the F@E’s even-bigger brother. It’s five inch tires are a force to be reckoned with and are perfect for even the deepest snow. This bike weighs in at just under 35 pounds as well. Overall, the F@R is a lot like the F@E but bigger. While the F@R certainly offers more heft than it’s not-so-little brother, it does come at a price. You can typically find a F@R for around $1,450. That’s a few hundred more than the F@E, so you have to determine if the bigger size is worth the cash for you. Click or tap here to learn more about the SE F@R 26. Fuji Wendigo 2.3: Fuji has long been a trusted name in cycling, so it stands to reason that many people compare the SE F@E to Fuji’s similar offering: Wendigo 2.3. The bikes are rather similar and come in at almost the exact same price point. The Wendigo’s frame is aluminum but it boasts an allow fork, triangle, and seat tube like the F@E. Many of the parts on both bikes come from the same manufacturers. Ultimately, the choice between a F@E and Wendigo 2.3 comes down to style preference and if you find one on sale. Click or tap here to learn more about the Fuji Wendigo 2.3. Framed Wolftrax SRAM X5: In many respects, the Framed Wolftrax SRAM X5 is a lot like the F@E. Each has a 6061-aluminum alloy frame, 26×4 tires, and the ability to fit the widest tires on the market. However, the manufacturers that make up the SRAM X5 do differ somewhat. The SRAM X5 comes with Avid BB5 brake discs and CleanSweep rotors. Many people also love the grips on the SRAM X5 and the comfortable seat. This model is about the same price as the F@E, depending on which retailer you choose. Click or tap here to learn more about the Framed Wolftrax SRAM X5. 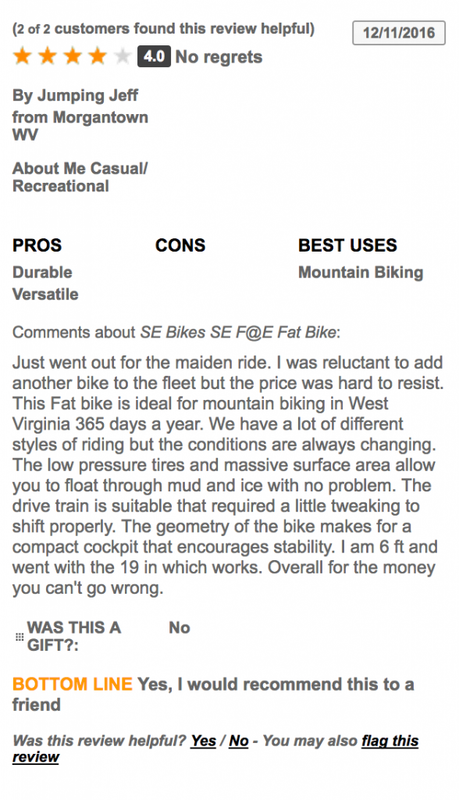 Review Conclusion – Best Fat Tire Bike? The SE F@E is a great bike for the experienced mountain biker who wants to push a little further or the new adventurer who will ride in sand or snow. Its large tire, aggressive stance, and premium brakes give you great control as you go anywhere and everywhere. Not only does the F@E handle well, it looks great too. You can be proud to ride on such a tough bike. With a few years on the market, it’s already earned a lot of love in the community. So, is it the best fatty for your money? At less than $1,000 we believe it is the best you can get for the price. 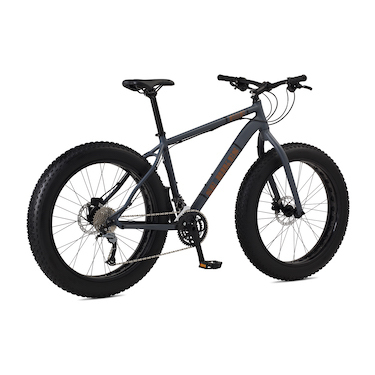 If you’re in the market for a fat tire bike, consider the SE F@E. It is a sturdy, reliable bike that will stick with you through the thick of winter or the hot sands of summer. This SE F@E bike review should have you armed with all the info you need.